Foreigners need a working visa to work in Japan. 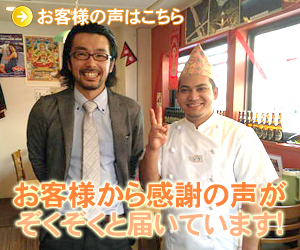 When foreigners work in Japan, for instance as an interpreter, a chef, or a programmer etc., they need a “working visa”. This “working visa” depends on the type of job. The most typical working visas are the following 4 types. Specialist in Humanities /International Services Translator, designer, international operation etc. Engineer System engineer, programmer etc. Skilled Labor Chef, animal trainer, pilot etc. Transferee Employees transferring to a branch in Japan from overseas working in “Humanities /International Services” and “Engineer”. There are detailed requirements to obtain a working visa, and you have to fulfill all the requirements. Are you worried or having problems? Don’t know which status of residence to get for your working visa. Don’t want to visit a government office many times. Having concerns about establishing the work contents at your employment. Having concerns about establishing the stability and continuity of your employment. Don’t know what to prepare for the documents. Worried if it’s not approved when you apply by yourself. Have had a visa denied. Removing your visa stress is my job as a visa-processing specialist. Swift and efficient visa-application process. Sound advice from a visa-processing specialist. Quick response to your questions by phone or email. Making effective documents based on a person’s individual needs. No need to go to the Immigration Office to gather necessary papers and stand in long lines. A gyoseishoshi specializing in the visa-application process will give you satisfying services. 3 reasons customers choose me. ① First consultation is free of charge! Also free phone or email consultation after the first consultation. in Fukuoka, Saga, Kumamoto, and Oita. The retainer fee will be refunded if the application is not approved or reapplication of the visa will be filed at no additional cost. I will come to your house or office. Discounts will be considered if you have documentation prepared. Please feel free to decide your course of action after receiving the quotation. Retainer fee will be paid through a bank transfer. It will be refunded if the application is not approved. The approval period depends on your situation. It will take 1～4 months to obtain a status of residence, and 3 weeks～2 months for changing or extending it. Please pay the remaining fees after everything is done and you have received all your documents. If the application is not approved, I will reapply for the visa at no additional cost if it’s possible. If reapplication is not possible, the retainer fee will be refunded. Applying for status of residence is complicated and a lot of work. I see many people with stress and tension but I am excited to see everyone’s relieved and happy faces after consulting me and obtaining their visas. This is worthwhile for me. Fortunately, I get “Thank you very much!” from my clients but I am also eternally grateful to them. “Bond” is my favorite word. I value forming bonds with people. I am looking forward to meeting you and forming a strong bond with you.